A Plus division features returning teams that were in previous Menehunes Invitational tournaments. 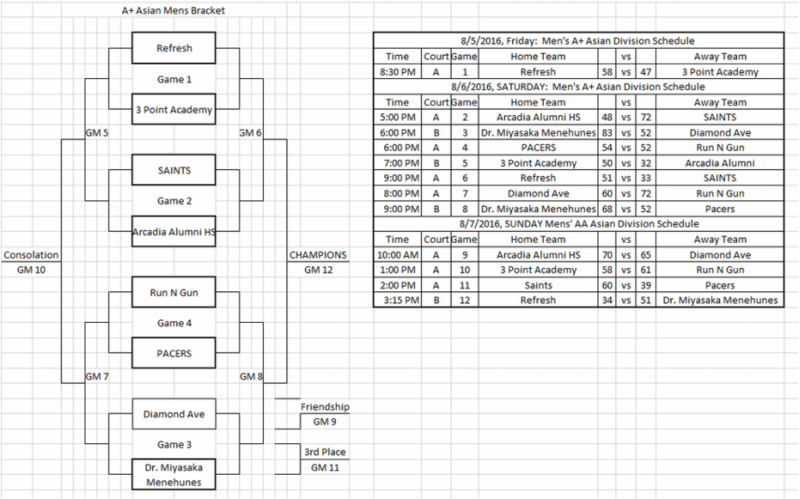 Refresh-won the A division championship back in 2013, Pacers won the A+ Silver Division championship back in 2014, 3 Point Academy won it in 2015, Diamond Ave won last years A-Gold Division, where as Arcadia Alumni and Run N Gun both came in 3rd place when they played in previous tournaments. Saints comes back after taking a 3 year break from the tournament were Menehunes historically struggles in there own tournament in the past. Who will be crowned champions this year?